These days the hardware in the devices is pretty powerful and with them you can take advantage of many things. It is also true that no smartphone is complete without any single app installed in it because app defines how you use your smartphones daily. The two most popular devices in the market are the IPhone and the various android phones. So the population is divided between apple and android users. Both the users rely on their respective app store to download the apps they need. We have previously compared the devices from apple and android against each other and also we compared the advantages of having an android device rather than an IPhone. But in this post we will be comparing the app stores to see which one is better. If you look at various statistical reports then you will notice that more than 50% of users own an android smartphone rather than apple device. 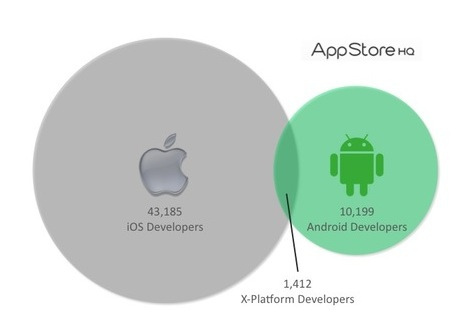 But despite this staggering number more developers flock to the apple app store. The reason is simple because the developers know that apple users are willing to pay for their app. The apple users have their credit cards on file and so they will pay more willingly for an app. The same app is available on android market as well but it is available for free or with an ad unlike the ones found in the apple app stores. If you are an aspiring app developer and before you put your app on the either market you need to buy their membership. Either you develop apps individually or in a group or company for apple app store you need to pay $99 but for Google Play Store membership you just need to pay $25. So as a result there is more number of free apps in the android market because the membership fee is less as compared to the apple app store where the majority of the apps are paid. On the other hand Google has made its SDK free for any developer and it is compatible whether you are using Windows, Linux or MAC. The android SDK uses Java for coding which is much easier to work with and also C/C++ used for the apps to make them more interesting. According to the latest research which is given by AppBrain which is one of the best website for finding out android apps claimed that are currently 430,000 apps in the Play store and from them 311,000 apps are available for free. That makes almost 72% of apps in the Play store for free. On the other hand for Apple store there are 615,000 apps available from which 287,000 apps are free which roughly translates to only 46% of free apps. The minimum price of an app in the apple app store is $2. 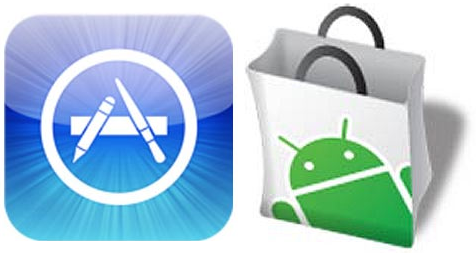 So there you have a comparison between the two app stores stay tuned for more comparison between the two stores.